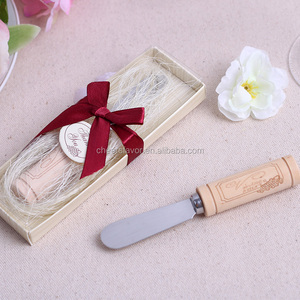 3 YRS Shenzhen Kiseng Commerce Co., Ltd.
"Vintage Reserve" Stainless-Steel Spreader with wine-cork handle has very special design for Vineyard themed favors. Your guests will love to use this "Thank you" gift to spread cheese or jam on bread at home. Your guests will love to use this "Thank you" gift to spread cheese or jam on bread at home. 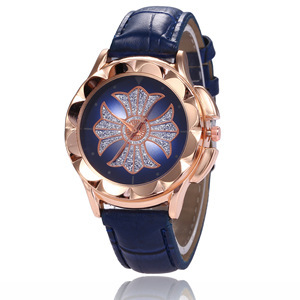 7 YRS Shenzhen Kai Fat Watch Co., Ltd.
2 YRS Shaoxing Shangyu Cheers Craft Gift Co., Ltd. Profession: Well trained and experienced staffs to answer all your enquires in fluent English. How about the Samples lead time9 A: Normally 5-10 days for normal styles and materials. Could we customize the products as our requirements9 A: Yes , just tell us your requirements. "Vintage Reserve" Stainless-Steel Spreader with Wine Cork Handle Item No. Your guests will love to use this "Thank you" gift to spread cheese or jam on bread at home. Pick a favor that is creative, unique, and perfect for wine lovers! 2 YRS Heze Kunli Industry Trade Co., Ltd.
1 YRS Jiangsu Crystal Import & Export Co., Ltd.
5 YRS Xuzhou Troy Import And Export Trade Co., Ltd.
10 YRS Shaoxing Zhongsheng Umbrella Co., Ltd.
2. Q What is your time of making samples9 A. 3. Q: What is your delivery time9 A. 7. Q: What is your payment terms9 A. 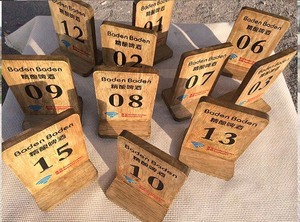 9 YRS Jinan Yoyo Art And Crafts Co., Ltd.
6 YRS Shenzhen Ounier Industrial Co., Ltd.
2, Usage: For cell phone case retail packaging or display box. Q: Which payment Methods can I use9 A: You can use MoneyGram, Western Union, T/T . etc Q: What is the delivery time9 A: Bulk order deliver time 3-7 days. 2 YRS Ningbo Halad Plastic Co., Ltd.
Q2:What is your delivery time9 A:This depends on what kind of products you ordered. Skillful workers care every details in handling the producing and packing processes. If the order quantity is large,we will ship by sea and arrival time depends on different regions. Pick a favor that is creative, unique, and perfect for wine lovers! 2.let us know what you choose the products, and we send you real picture. 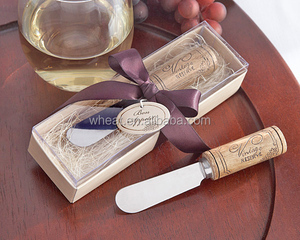 Our Factory is mainly deal with wedding favors, wedding decoration, wedding gift. 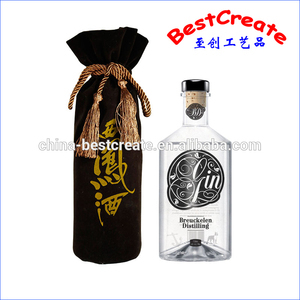 2 YRS Cao County Natai Wooden Arts And Crafts Co., Ltd.
11 YRS Nanan Lijia Stone Co., Ltd.
1 YRS Shenzhen Junda Xingchen Technology Co., Ltd.
5 YRS Shandong Yuncheng Valiant International Trading Co., Ltd.
700ml bottle Shandong Yuncheng Valiant Trading Co., Ltd. TEL:0530-6558538 FAX:0530-6558538 Web: Adds: Industrial Park ,Yuncheng , shandong province ,China Brand VIT Usage Wine/vodka/whisky/water/oil/juice/milk bottle, jar and so on Material Crystal or flint white/olive/cuvee/darkgreen/blue /green glass material Technology Machine made and handmade Anti-thermal shock degree:&gt;=41 degrees Internal-stress(Grade):&lt;=Grade 4 Thermal Tolerance:120 degrees Anti shock:&gt;=0.7 As, Pb content: conforming to food industry restriction Pathogenic Bacterium: Negative The thickness of glassware is about 3mm-5mm, the bottom could be 8mm-12mm Volume 50 to 3000ml or as your requirements Weight 50 550 580 620 650 750 850 1000 1500g and so on Sealing type Screw cap or cork Painting Blue, red, yellow,as your requirements Packing 5-layer export carton with partition board (customizable) with pallet Quality control ISO9001, ISO14001,Totally OEM Quality Deep processing Decorating firing, color coating, glass frosting, pate-surpate, outline in gold and glaze spraying Delievery term FOB C&F CIF Payment terms T/T, L/C Lead time 15 to 20 days after ordered for normal type For new design drawing confirm within 3days, mold within 15days, produce in bulk within 20days. 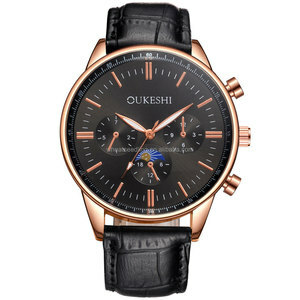 11 YRS Window's Clock & Watch Co., Ltd. The quick release pins is easy to put and taken down the strap from the stainless steel case. 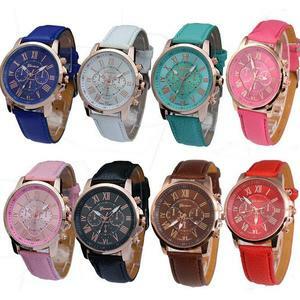 While for stainless steel watches and brass watches the delivery time is 45-50 workdays. Please inform us formally before our production and confirm the design firstly. 2 YRS Jieke Aershin (Rugao) Furniture Co., Ltd.
12 YRS Foshan Great Chance Hardware & Case Co., Ltd.
From our Platinum collection, the unique and elegant Reserve wine case is perfect for the serious wine collector or enthusiast. An innovative interior insulated divider system separates bottles and protects them in transit. The Reserve is an excellent gift for any occasion, and is especially appreciated by wine collectors. 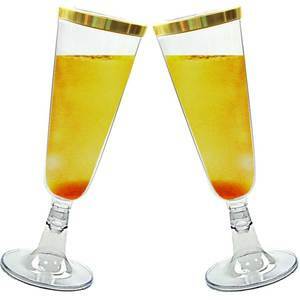 Alibaba.com offers 91 reserve wine products. About 4% of these are glass, 4% are packaging boxes, and 4% are bottles. A wide variety of reserve wine options are available to you, such as free samples. There are 91 reserve wine suppliers, mainly located in Asia. The top supplying country is China (Mainland), which supply 100% of reserve wine respectively. Reserve wine products are most popular in North America, Mid East, and Northern Europe. You can ensure product safety by selecting from certified suppliers, including 49 with Other, 7 with ISO9001, and 1 with ISO14001 certification.